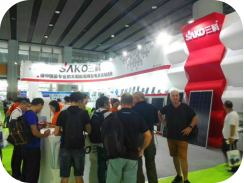 As the most international PV show in China, this August the 9th Guangzhou International Solar Photovoltaic Exhibition (PV Guangzhou 2017) once again gave a solid push to worldwide PV trade! PV modules (26%), Inverters (24%), solar applications (17%), storage batteries (11%), raw materials (9%), PV brackets (6%), manufacturing equipment (5%), Other (2%), etc. Partial Feature Exhibitors: INVT,SAJ,Longi, Goodwe,Topray Solar,CSG Holding,Auto-One,SRNE,SunicSolar,Sofar Solar,5Star,Growatt,SAKO,King Feels,Almaden,etc. Hundreds of Cooperation Took Place on a Daily Basis! According to post-show feedback from exhibitors, 88% were very satisfied with the show result! The drastic 60% increase of oversea buyers was a major breakthrough for this year. Most Chinese PV suppliers rely heavily on export trade. 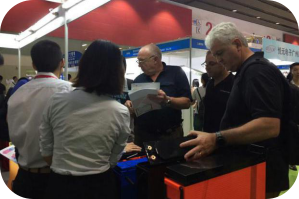 This annual significant increase of quality oversea buyers is one of the key incentives for so many exhibitors to come back or newly join us every year. 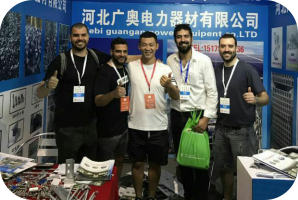 In the main made up of contractors and exporters/importers, most oversea buyers were here for inverters, PV modules, and solar applications. 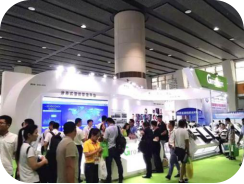 By corss-checking our exhibitor composition, you can see that PV Guangzhou has attracted the right target buyer group for the exhibitors. 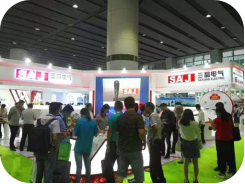 What’s more, with the concurrently held Asia-Pacific Water Heating Exhibition 2017 (AWHE 2017) and Asia (Guangzhou) Battey Sourcing Fair 2017 (GBF Asia 2017), PV Guangzhou 2017 shared a large crowd of mutual buyers who were looking for solar water heaters and batteries. 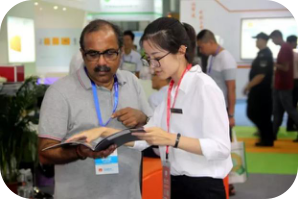 To help insiders grasp every potential business, the Belt and Road Forum for PV Development was held concurrently with PV Guangzhou 2017, headlined by over 20 high-achieving new energy specialists. 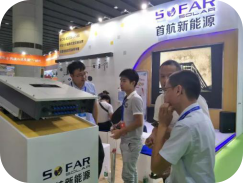 The forum focused on the reading of national solar policy, innovation of distributed PV system, project investment, the latest technical development, etc. The climax of the forum would be the panel discussion on possible challenges and business opportunities brought by Belt & Road Initiative. Due to the quality input from the panelists and the high pertinence of discuss, this session was the most well attended throughout the whole forum. All in all, the forum was greatly appreciated by the engaged audience and a lot of them voiced their wish for the forum to be extended into a longer event next year for they had had such a fruitful day this year. Distributed PV has gained a prominent standing in China’s PV policy in recent years. 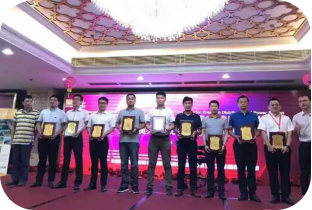 In responding to this market trend, China’s Best “Top Runner” PV Projects Award was established to recognize the excellence of 18 distributed PV generation station projects in China. 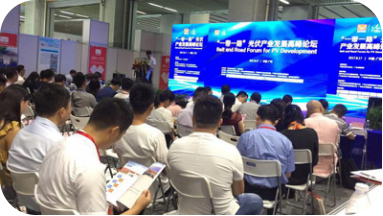 Based on the vote of an expert panel and thousands of online insiders, the result of the award was unveiled at the reception dinner of PV Guangzhou 2017 along with an on-site display of award-wining projects for worldwide insiders to study and learn from. Many attendees had deemed this occasion as an excellent chance to network with worldwide industry leaders as well as for their companies to strengthen presence in this business. Right after the success of PV Guangzhou 2017, the organizing committee is now about to kick-start yet another intense 12-month preparation for PV Guangzhou 2018 which is going to take place the same date and same venue as this year! If you don’t want to miss this yearly PV grand event, then please register as our visitors or exhibitors now!